As a Receptionist, you will be the first point of contact for our company. You will welcome guests and greet people who visit the business. You will also coordinate front-desk activities, primarily including managing incoming calls and forwarding as appropriate. You will direct customer requests appropriately and take messages as required. You will also be required to maintain and clean and professional image at the front desk. Our Receptionist’s duties also include offering administrative support in terms of managing deliveries, customer registration, maintaining logbooks, managing paperwork. To be successful as a Receptionist, you should have a pleasant demeanour, excellent verbal and written skills. You should be committed in supporting our clients, as this is primarily a customer service role. Multitasking skills are essential for this position. Diploma is Secretarial Studies or related field. Successful completion of a customer service training program. Proficient in English and Setswana. 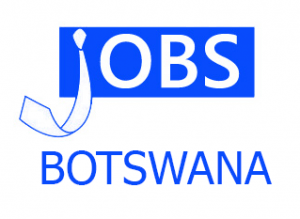 IT-IQ Botswana offers a competitive market-related benefits. Suitable candidates should email their CV with certifications to recruitment@itiq.co.bw. Only email applications accepted and correspondence will be with short-listed candidates only.